Unseeded Siril Varma continued his rampage at the World Junior Badminton Championships at Lima in Peru as he upset the tenth-seeded Malaysian R Satheishtharan to enter the semi-finals on Friday. The 21-15, 21-14 victory in 37 minutes assured the Pullela Gopichand Academy-trainee of at least a bronze medal. Verma, who is supported by the Olympic Gold Quest, will play the 14th seed Adulrach Namkul of Thailand on Saturday for a place in the final. The two will be meeting each other for the first time. “I’m surprised but the performances keep coming. 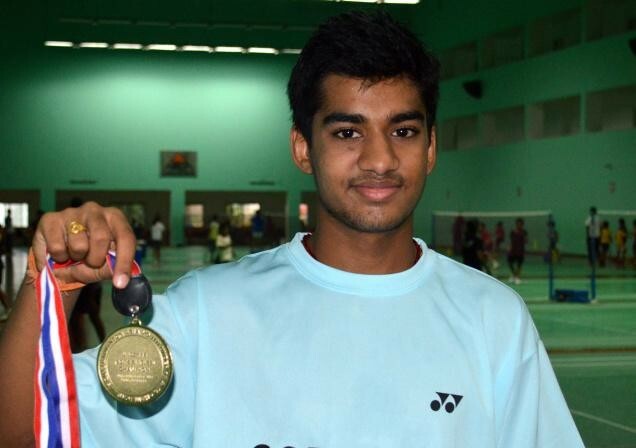 It’s India’s first medal for a few years and I will try to make it gold,” promised the young Indian shuttler after his quarter-final victory. Verma’s achievement thus brings India a medal from the World Junior Championships seven years after Saina Nehwal had captured the girl’s singles title in 2008. The 16-year-old Siril had been in immaculate form at this global meet and had accounted for the ninth seed Kantaphon Wangcharoen in the third round as well as the third seed Anders Antonsen in the fourth round. However, the run of Verma’s compatriots – Chirag Sen and Gadde Ruthvika Shivani – ended in the Round of 16. In boys’ singles, the 15th seeded Chirag Sen went down 18-21, 9-21 to unseeded Japanese Koki Watanabe. In girls’ singles, the Indian senior national champion Ruthvika Shivani, who was the seventh seed, succumbed to a 21-13, 11-21, 10-21 defeat to eleventh seed Natsuki Nidaira of Japan.